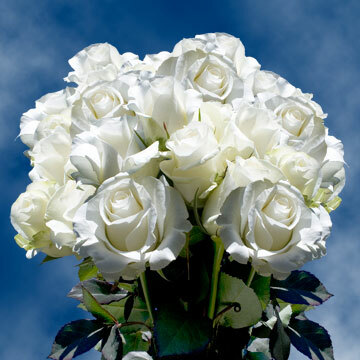 The Akito is a White Rose which is the quintessential flower to add to a wedding piece or any other formal occasion. A stark image of purity and innocence, making it the perfect match for confirmations or first communions. It can also be used to garner the wrist of any lovely lady who is attending a prom, wedding, or black tie event. 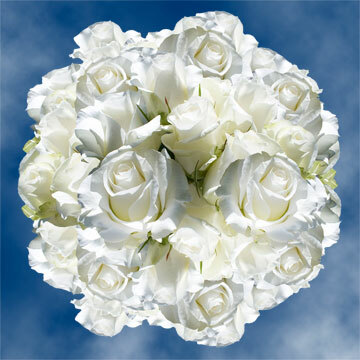 The large star shaped bloom of the Akito is sure to turn heads with its pure white full petals. 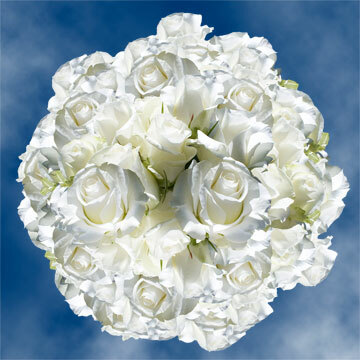 As a centerpiece or as a part of a corsage or boutonniere, it is sure to call the attention of everyone and add a touch of beauty that is hard to find in any other floret. 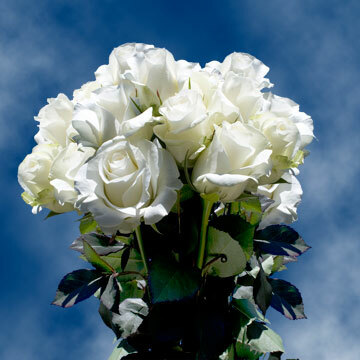 Needing at most two to three days to fully bloom after delivery, you can rest assured that this White Rose is the right choice for your next event no matter how big or small it is. 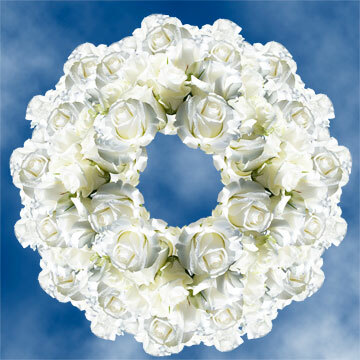 Appropriate not only for weddings but also birthdays, special events, or even as a message to that special someone to let them know that you love them. Grown in our state of the art fully equipped greenhouses, our products are grown all year round to assure availability and consistency of beauty. GlobalRose ships via FedEx, and backed by our absolutely fresh flower guarantee, you know that your order will arrive on time and in perfect condition. The simplicity of the Akito is always appropriate for any formal event. 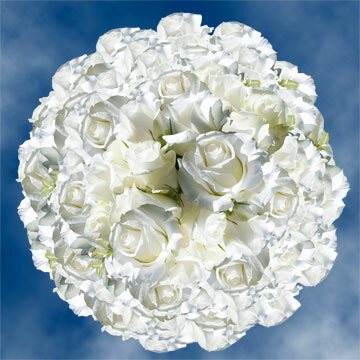 Pick up a bouquet today, and do not fret, as you have made the elegant choice!